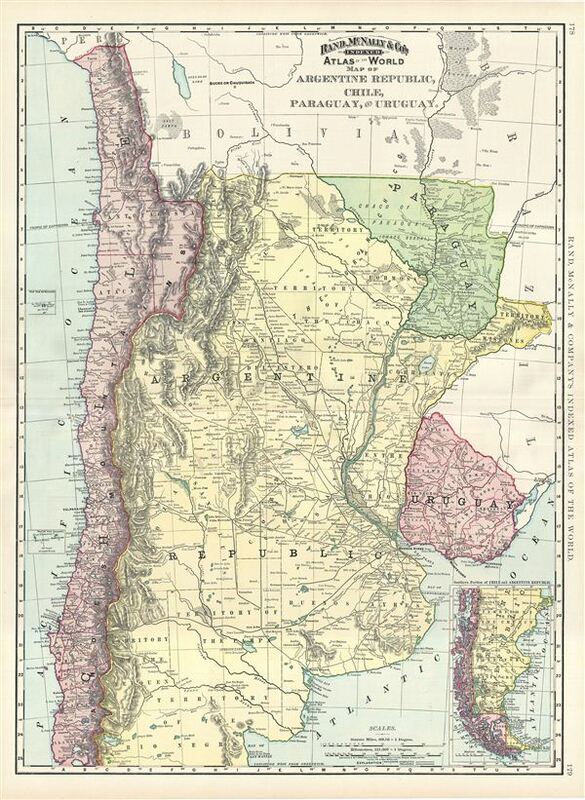 Map of Argentine Republic, Chile, Paraguay, and Uruguay. Rumsey 3565.048 (1897 edition). Philip (atlases) 1026 (1898 edition).